Adorable updated home in the heart of Folsom. Home is situated on a huge lot with beautiful trees and fruit trees. Backyard is perfect for a big family outings with a firepit to roast marshmellows nice sized patio. Side yards are both big with RV parking possible. Home features: Great room concept that flows into the dining room & kitchen, kitchen has sit up counter to eat on with granite counters and white cabinets french doors that lead out to the back yard. Simply adorable and perfect for first time buyer or grandparents that want to live in Folsom. Roof was replaced 2018. Move in ready home. 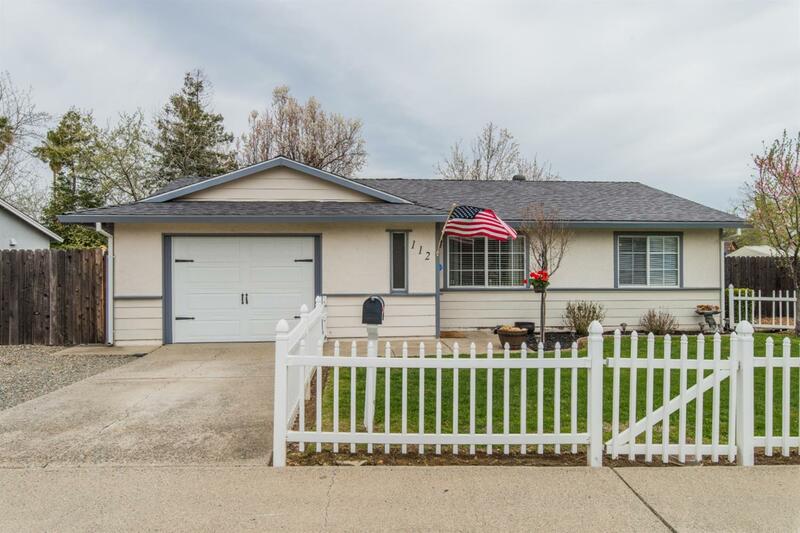 Close to shopping, restaraunts, bike trail and Folsom Lake & Natomas Lake.